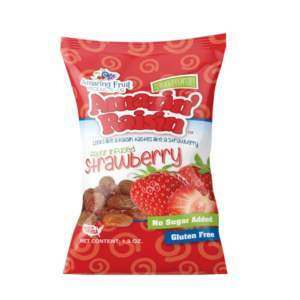 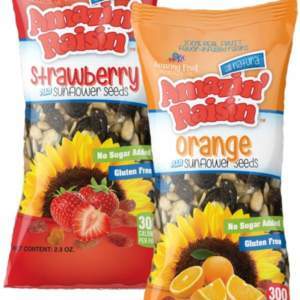 Amazin’ Raisin Flavored Raisins Classic Variety 5pk. 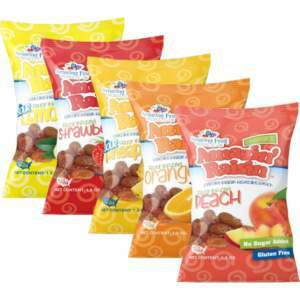 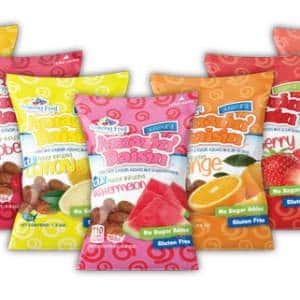 Variety Pack consists of the following: 1 Strawberry – 1 Orange – 1 Sour Pineapple – 1 Sour Lemon – 1 Peach. 5 Amazin’ Raisin 1.3 ounce packs total.